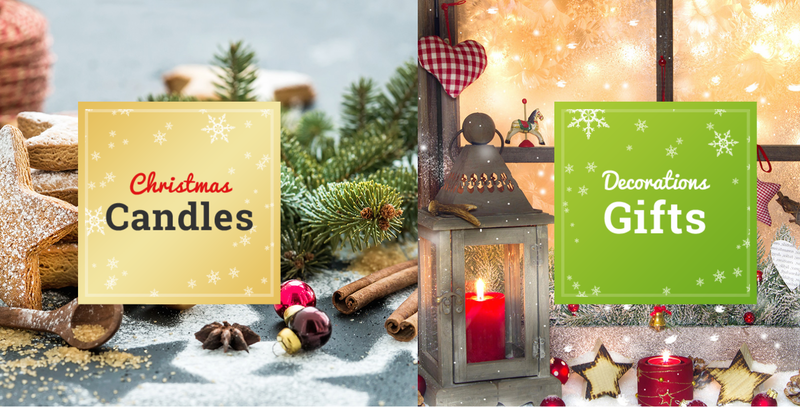 BlogHome » eCommerce » How to Prepare your eCommerce store for Christmas Holidays with Black Friday Deals? Is there any American who doesn’t love Black Friday? And, if there’s, what’s actually wrong with this person? Without a doubt, we all enjoy this day! Black Friday is the time when you can buy everything and anything without running out of the budget. Black Friday is the time of endless sales and special offers every shop has for you. What’s more important, the discounts Black Friday provides you with last more than one day. That’s why people can’t help waiting for Black Friday. Do you already know what you want to buy when Black Friday is here? A lot of users even prepare their special Black Friday lists for a successful shopping. So, are you one of them? By tradition, in this post, I’m going to inform you about another sale. It’s for those users who take care of their websites and for those who are just going to build one. In a word, today I’m about to tell you about the digital products sale. It’s from TemplateMonster, which means you’ll definitely find there a lot of things to view out. Needless to say, there’s a lot of time until Christmas is here. However, Christmas holidays are such a busy and lucrative time for shop owners. As you can see, the big players always start preparing for New Year and Christmas time in autumn. That’s why this Black Friday sale would be useful for you. As the name of the post says, here I selected a few products to review. So what is Christmas theme and who may need it? First things first, a worthy Christmas theme is a set of ready-made pages. All of them come with a pro design and meet any recent SEO demands. Besides, such kit contains many helpful features to provide the online project with a powerful functionality. There will be all the must-have options a website requires. 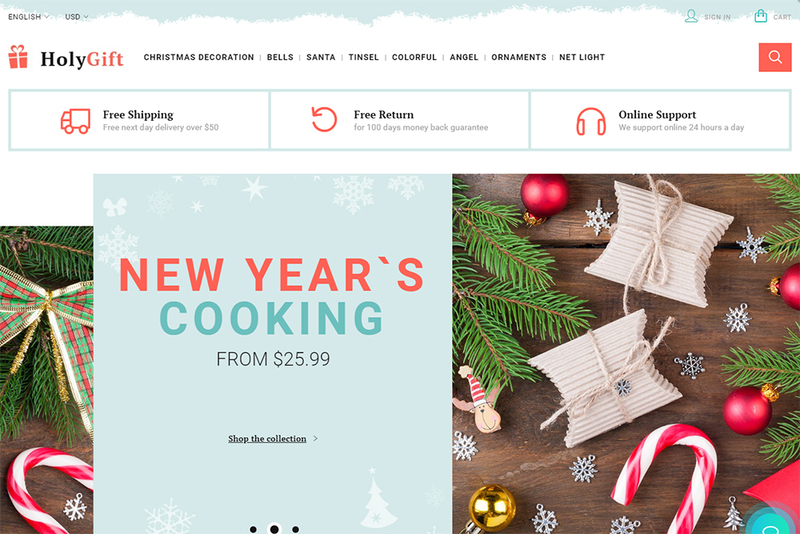 What is more, these Christmas themes have some premium plugins and trendy web design elements too! In summary, such items were made to help you with a stress-free website creation. Who Can Work With These Christmas Themes? To put it briefly, the templates I’m talking about can be used by users of any skill levels. 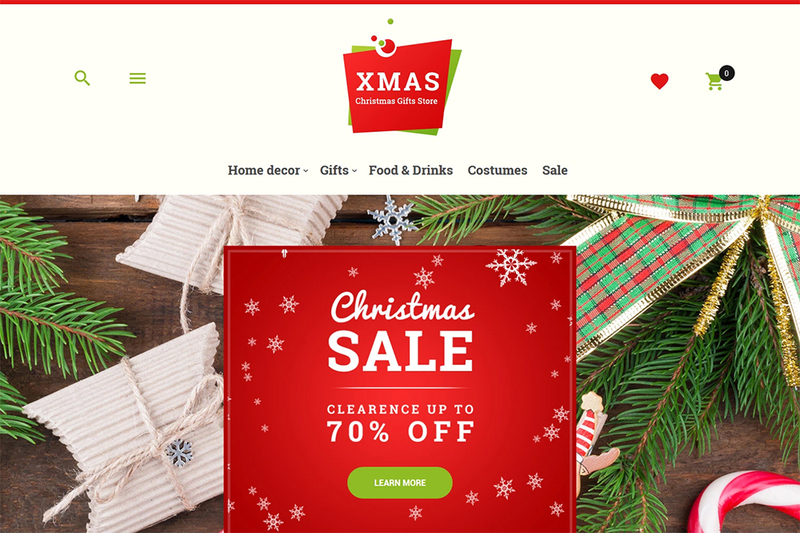 You don’t need to be a successful website owner or a skilled web designer to use Christmas themes. Still, in case you are, the way these themes work may shock you. The items are code-free. Plus, they are absolutely creator-friendly. 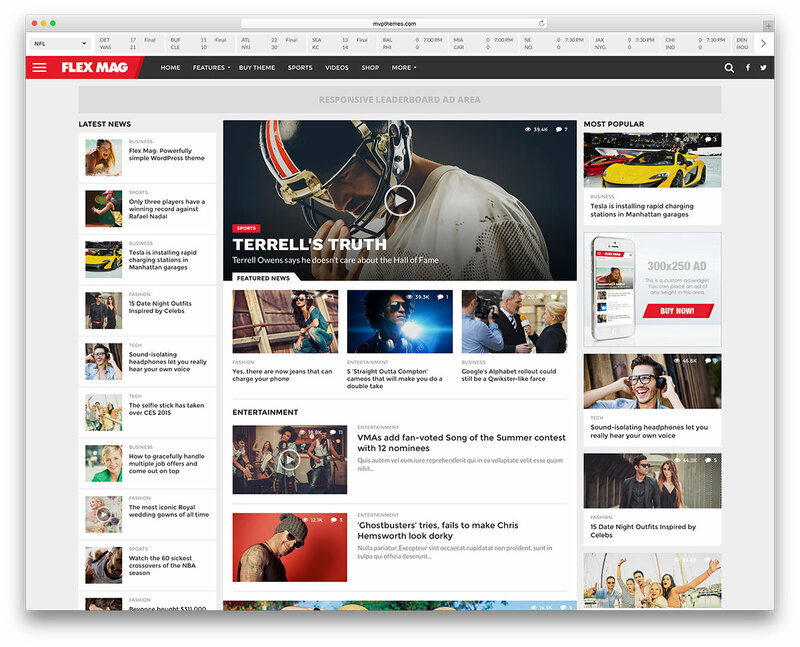 Thanks to such pre-packed features as drag & drop editing and live preview, the themes provide their owners with a real WYSIWYG experience. So, in case you are looking for a product to run your site without trouble, don’t stop reading! Smart sorting options, and much more. Talking about the rest of the features, you do need to take a closer look at them. That’s the only way to figure out if you need an option or an element. For these simple reasons, I decided to review 10 top Christmas digital items that will be on Black Friday sale. What’s inside their packs? Let’s see! Plus, don’t forget that all these and many other products will have 50% discount on TemplateMonster Marketplace! You can save good money buying an item on Black Friday during Nov, 19th – Nov, 29th, 2018. Good luck! There’s a MegaMenu Layout Builder inside HolyGift’s package. It will help you to work with the feature and change settings to make the web design fit your personal taste or business style. image tab, and much more. Besides, using Snowy Christmas, a user gets smart product filters. It provides your prospects with different sorting options, so they can view out the items in a grid, list-based style. What’s more, your shoppers will be able to sort the products by name, date, creator, brand, popularity, etc. What is the best way to promote your goods? There’s no secret, slides are still popular. This simple but eye-catching web design element allows you to showcase a product in all its beauty. On the other hand, Xmas comes with a built-in Countdown Timer. The feature will quickly grab the attention of your shoppers. It shows how much time there’s left until something ends or begins. Using the feature, you can easily highlight such things as special offers, sales, new arrivals, discounts, and much more! Besides, Xmas is a totally responsive product, which means the website design will always look stunning. Your online project will be flexible, so shoppers will be able to enter it via any device or browser. 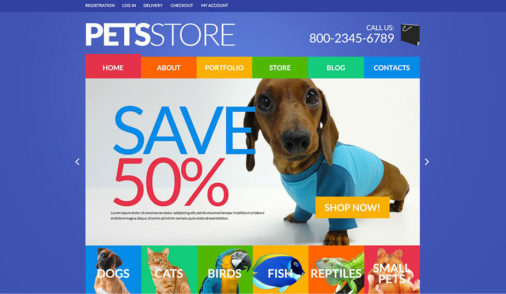 To begin with, choosing this VirtueMart template, a website owner gets really comfy navigation. 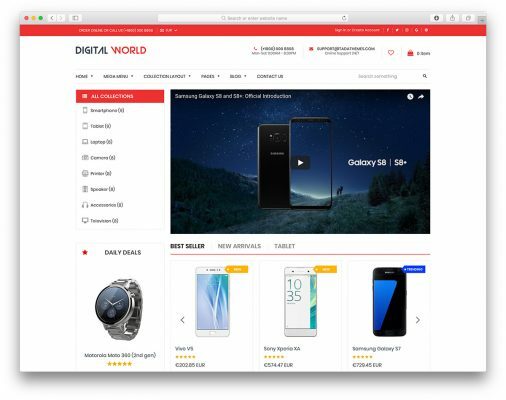 In case you want the online shop to be a go-to place for your customers, make sure that the web design is 100% visitor-friendly. Among the must-have features for a pro online shop, there’s Sticky Menu. In a word, this is an easy-to-use function that makes the menu remain on the top of the shop. With it, no matter how long a shopper scrolls your gallery, they will always be able to open another tab. By the way, Cristar comes with Social Integration to bring more white traffic to your website. The small social media icons will also be located in the sticky menu. 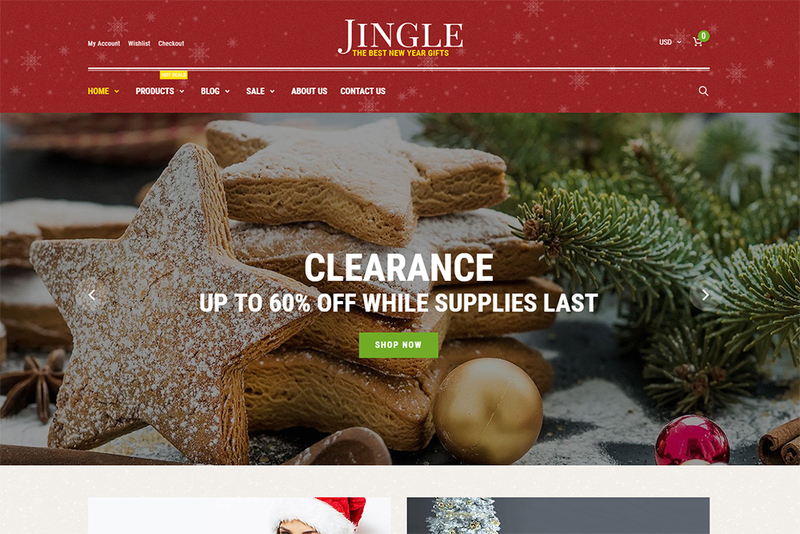 Firstly, using Jingle, you can change the way your web shop looks without a hitch! The Shopify theme allows you to work on any detail of the site. There’s no coding required, so you can literally change everything thanks to such pre-packed features as Theme Color Switcher. You can customize the site color palette in a single click! Secondly, Jingle is a multi-currency Christmas theme, which is another must-have for a shop. The feature will help you to enlarge customers list and find new shoppers abroad. Thirdly, there’s a marvelous Product Badges feature, which was made to indicate the status of an item. These small web design components are still eye-catching enough to get the attention of a shopper. That’s how you can create an effective promotion for the product. 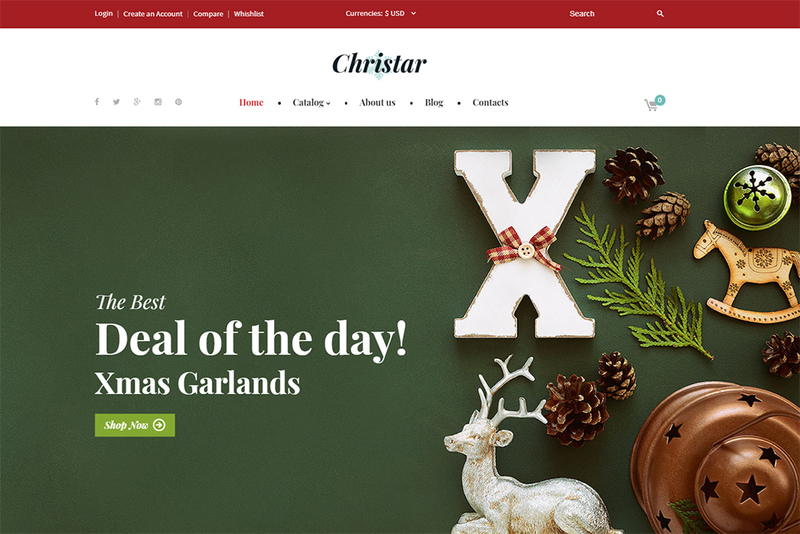 Before all else, this colorful Christmas theme from OpenCart comes with a popular web design trend – Parallax scrolling. 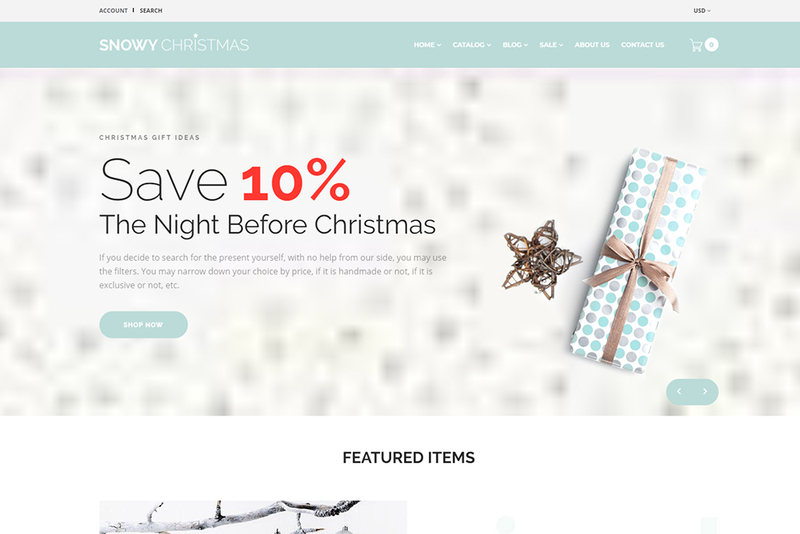 This popular visual effect provides the website with gorgeous backgrounds. That’s how you can make a beautiful promo for your goods using the illusion of depth and 3D motion. 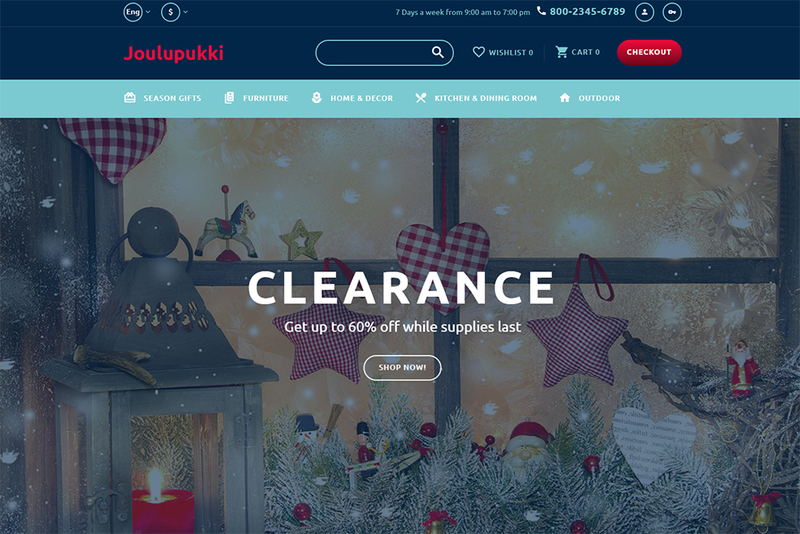 To say more, Joulupukki is not just a multi-currency but a multilingual theme. It means that you can translate the content of your website and enter the global market. By the way, multilanguage content is important for SEO. Many search engines indicate only the websites that come on their native language, so this step will boost your results! Needless to say, there’s one more must-have your website requires – unique pictures! When building an eCommerce website, make sure that it has high-quality and attention-grabbing illustrations. 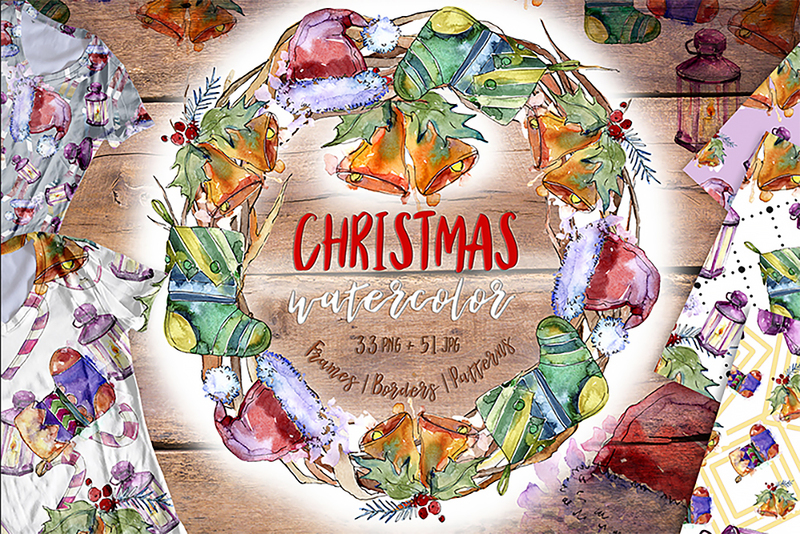 As you can see, here’s a charming Christmas set of PNG watercolor illustration. The kit was designed by WatercolorPNG team and contains 82 bright files. These are the highly detailed illustrations that you can use to create a texture, a border, a frame, a pattern, a background, etc. Here’s one more soft winter collection from WatercolorPNG team. 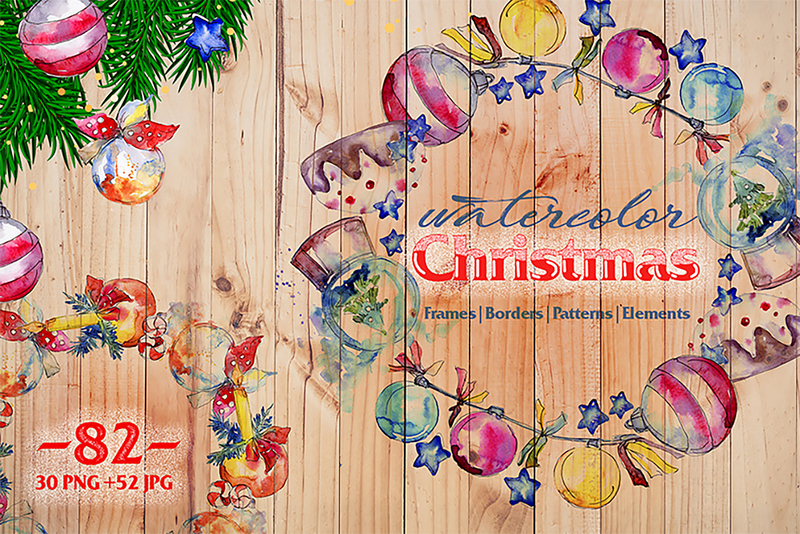 This New Year set has 84 holiday illustrations: 33 .png files and 51 .jpg files for your Christmas online shop. With the help of these aquarelle cards, the website owner will make unusual backgrounds, frames or borders. On the other hand, these pics are perfect for wrapper pattern. You can use them for a greeting card, a quote, a poster, a menu, or for DIY. 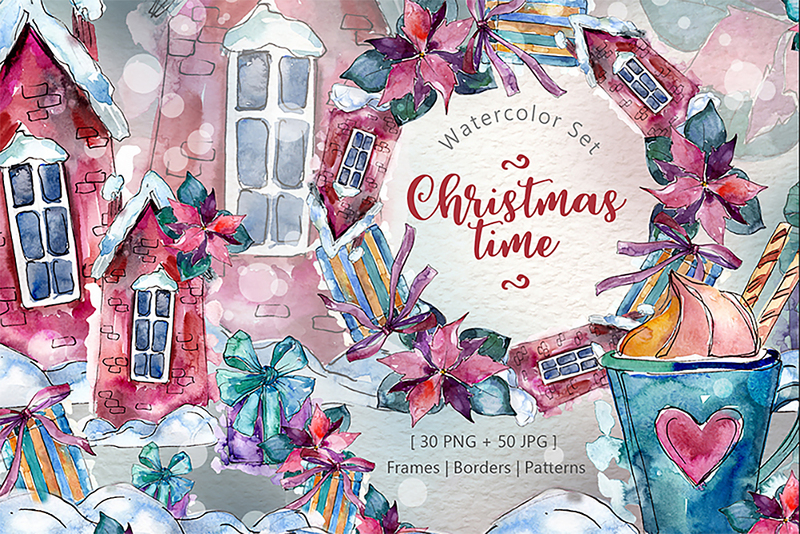 Finally, here is another awesome Christmas time watercolor set of illustrations. Each and every of the show elements was made by hand. There are 80 components inside the selection. These are png. files, 300 dpi, frames and patterns in 3500x3500px .jpg size. Take a closer look at these unique elements! The images have more than 4000x4000x px resolution. All of them are good enough to improve your website’s look and can be used for different purposes. 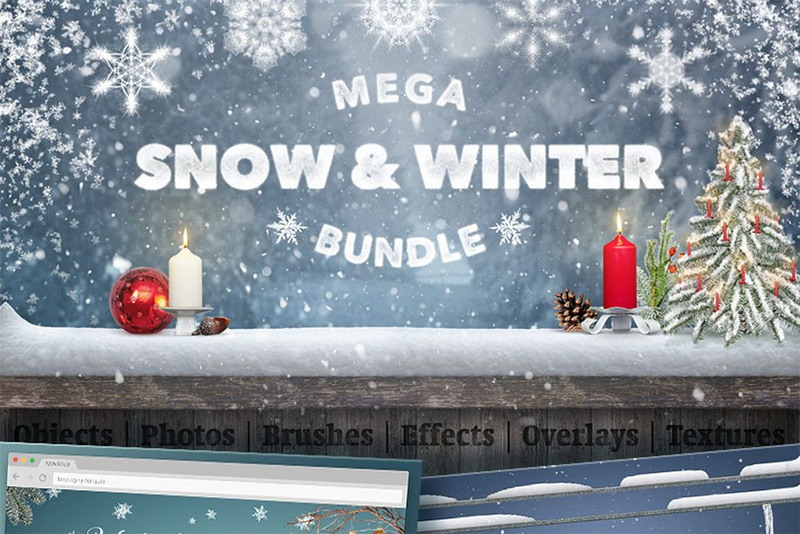 Finally, here’s the last Christmas digital item for today – a strikingly colored winter bundle. It’s really huge and comes with cool snow brushes v2. These are photo-realistic brushes for PS in high resolution. It’s an ideal tool to paint settled of falling snow and other realistic snow effects. The snowflakes you are going to use were cut out of an actual photo material! You can work with them in PS CS1-CS6 and also CC. On the other hand, using Mega Snow, a website owner gets snow line elements v2. There are 27 quality pics that you can easily use as .png files with transparent background. and many other winter objects for your website design. Well, looks like it’s time for the final thoughts! 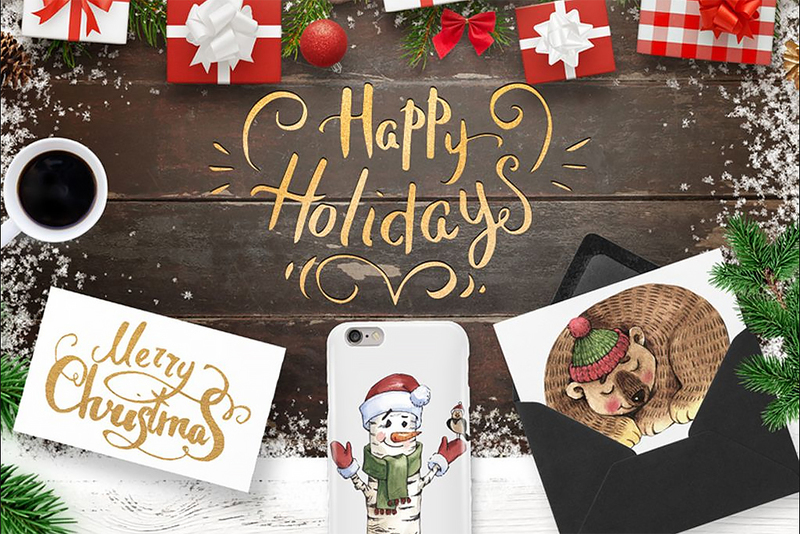 As you can see, today I introduced you different Christmas digital products. You can use them to improve the way your winter online shop looks! These items are fully creator-friendly and you won’t need to have website building experience to work with them. What’s more, the themes I selected can build your online projects with the lightning-fast speed. The process will be as easy as ABS for you! To sum everything up, keep in mind that the templates come with their live demos. Open a demo to see all the visual elements, UI components and trendy features the theme contains. By the way, don’t forget that there’s Black Friday coming! It brings you new sales and many discounts. With it, all the products will have 50% off during several days. Don’t miss your chance to run the desired online shop without running out the budget. So, did you already find the theme of your dream?